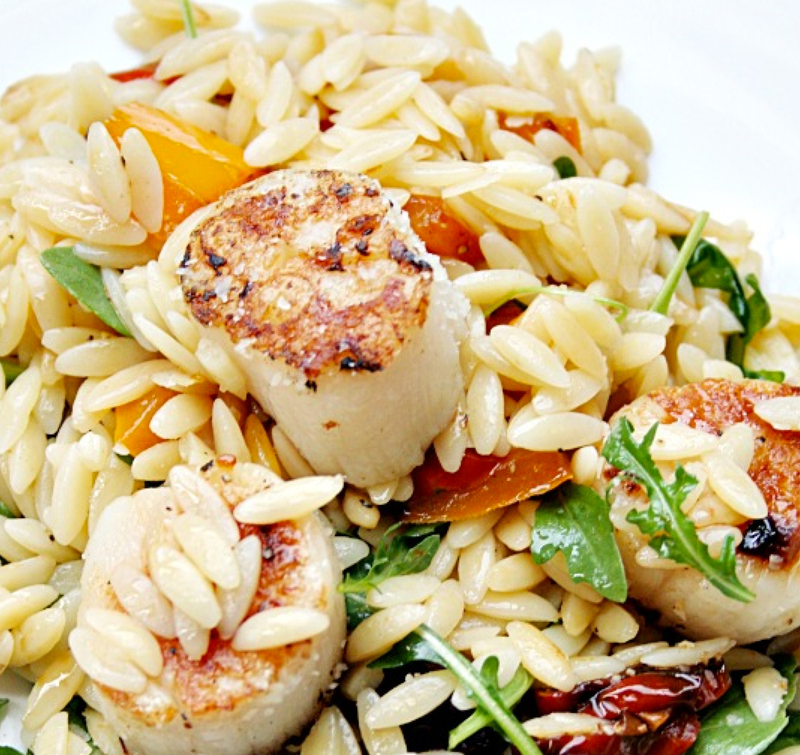 Recipe of the Day: Orzo Salad with Scallops - Eat. Fit. Fuel. This is a great light, flavorful and delicious dinner idea. This meal plates really nicely too – makes you look like a real chef if you are preparing this for a dinner party. Scallops are such a great protein that I forget about, unfortunately. I made them over Memorial Day weekend in tacos, and now they are back on my radar. I will give you some more scallop recipes in the future. For today – you’ve got this yummy creation – originally from Heather’s French Press – that adds orzo (also not always on my radar) and one of my absolute favorites arugula. Please let us know what you think!